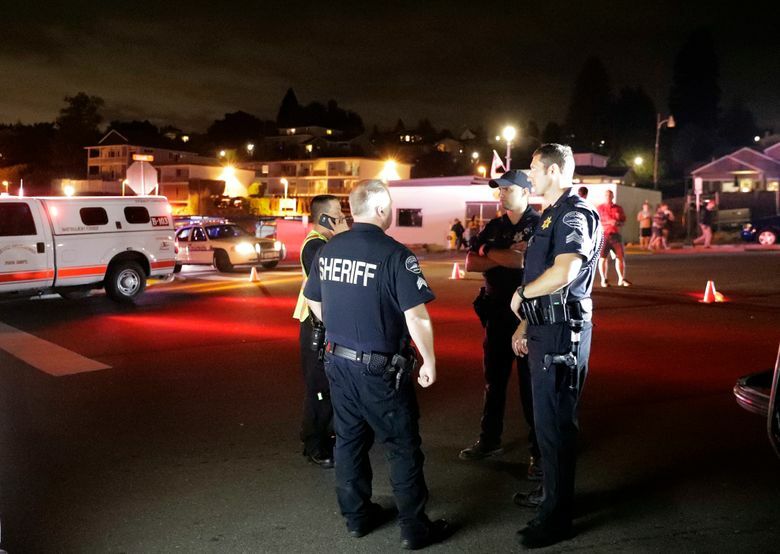 Here’s the latest on the Horizon Q400 that made an unauthorized takeoff from Seattle-Tacoma International Airport on Friday night and crashed in south Puget Sound. This is a breaking account from the first 24 hours of coverage after a Horizon Air worker stole a Q400 turboprop out of Seattle-Tacoma International Airport on Friday night, crashing into an island in the south Puget Sound about 90 minutes later. Officials said no other passengers or crew were on board and military jets had been scrambled to fly alongside the plane. ● The man who took a Horizon Air turboprop plane from Sea-Tac International Airport and crashed it on Ketron Island Friday night was Richard Russell, a 29-year-old ground-service agent well liked by coworkers. ● Russell took off from Sea-Tac around 8 p.m. and flew above Puget Sound for about 75 minutes, doing aerial stunts and being trailed by two F-15C fighter jets before crashing. He is presumed dead. ● A 3.5-year employee of Horizon, Russell was born in Key West, Fla., and moved to Alaska at age 7. He lived in Coos Bay, Ore., before moving to Sumner, Pierce Co., in 2015. He did not have a pilot’s license. ● The FBI is leading the investigation into the incident, working with the National Transportation Safety Board, the Federal Aviation Administration and other agencies. 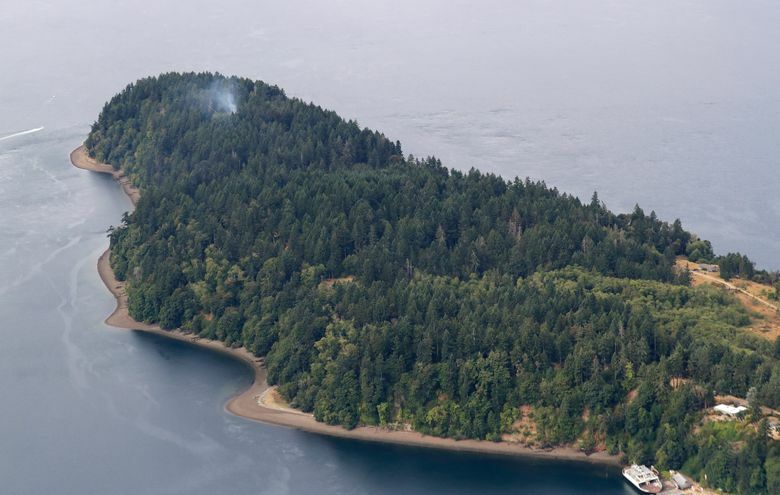 ● It is believed no one was injured on Ketron Island, a sparsely populated island near Steilacoom, Pierce Co.
Social media users captured videos of the Horizon Q400 plane after it took off from Sea-Tac. An air-traffic control feed captured the conversation between a controller and the Horizon Air worker who took off from Sea-Tac Airport and crashed on Ketron Island in south Puget Sound. Warning: some might find the following audio disturbing. No family was present at the media conference organized by family at 7 p.m. in Orting, Wash.
Mike Mathews, a friend of Richard Russel and his family, said this is a complete shock to family. They did not take questions. A printed statement was handed to all media. In his career as a pilot, John Goglia routinely worked with air traffic control officers to land safely on the ground and head into gates. 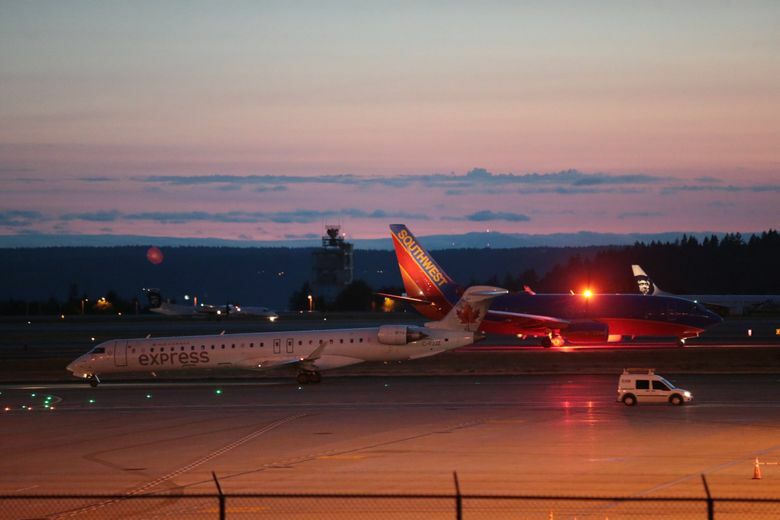 Goglia was impressed by how the ATC officer at Sea-Tac Airport calmly attempted to guide the 29-year-old airline employee who flew a plane without authority to a safe landing. 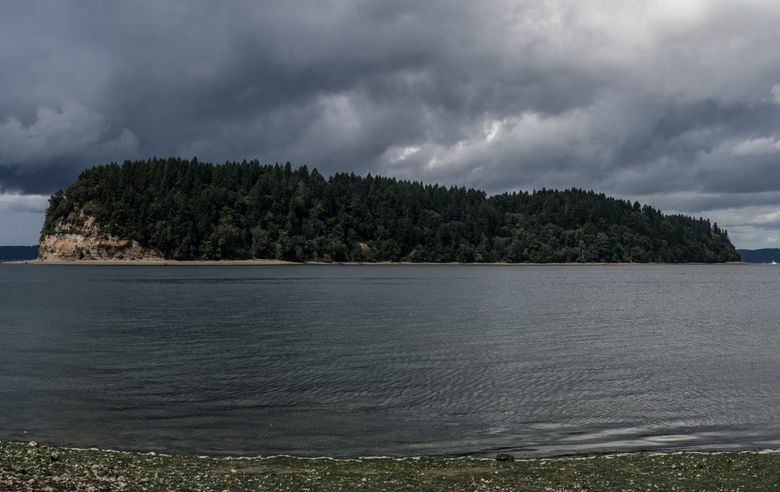 Richard Russell crashed on Ketron Island in south Puget Sound and is presumed dead. Officers have different zones of control they monitor. In audio recording released from the air-traffic control feed, the officer attempting to direct Russell tried to keep him within his supervision so he wouldn’t be transferred to a different officer. Doing so reduces interruption and allows the officer time to focus on grounding the individual. In any emergency, “the whole thing is to try to keep the situation calm,” said Goglia. That includes situations like these, where a non-pilot takes over control of a plane, terrorist situations, and medical emergencies, such as when the designated pilot has a heart attack. 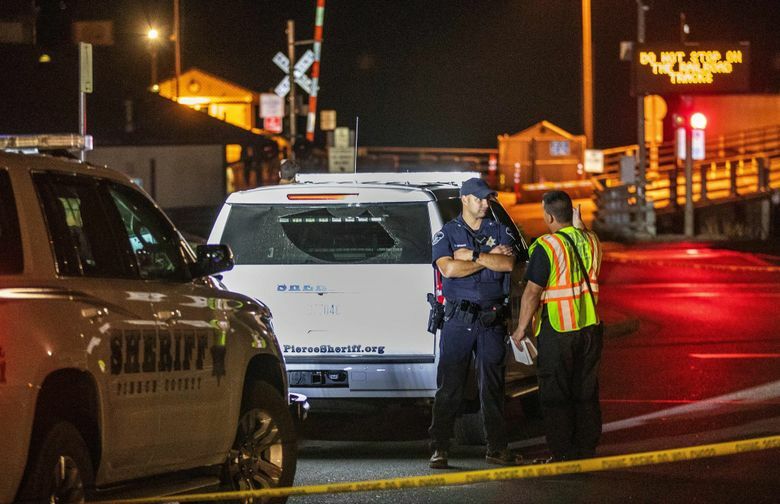 While Goglia couldn’t speak to the specifics of Friday’s incident, he said officers often rely on counseling provided by their employers to cope with stress after on-the-job crises. Federal investigators, Sea-Tac officials and his employer, are scrambling to figure out how Richard Russell managed to steal a 76-passenger Horizon Air turboprop plane, take off from one of the busiest airports the country and fly it around South Puget Sound before a fiery twilight crash Friday evening. The answers to these questions could eventually alter security procedures not only at Sea-Tac but other airports around the country. A man who answered the door at a Graham home where members of Richard Russell’s family had gathered Saturday said they were awaiting more information before speaking to the media. The man, who did not want to give his name, said Russell’s family is in shock after he reportedly took an airplane from Sea-Tac Airport and crashed into an island in Puget Sound. As the man spoke to a reporter, other members of the family trickled in. 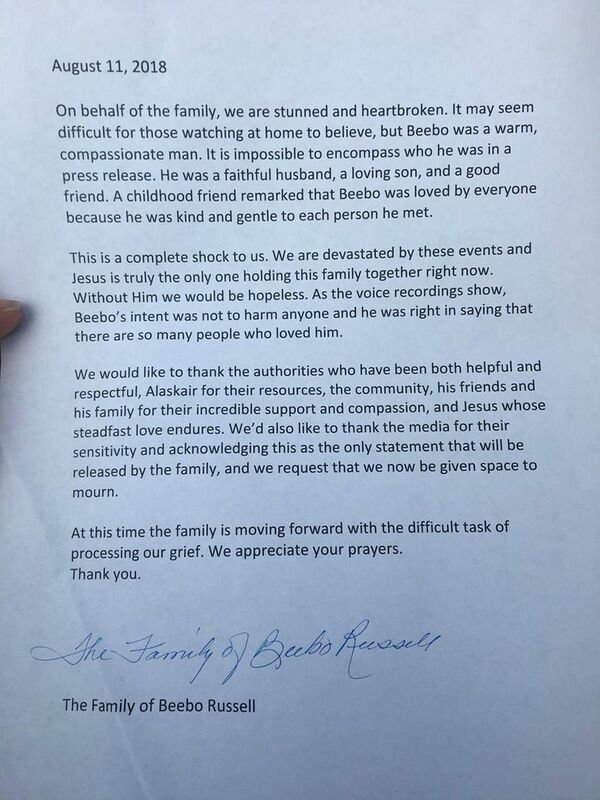 One neighbor, who also did not want to give her name, described Russell’s family as the closest, most stable she’s ever known. 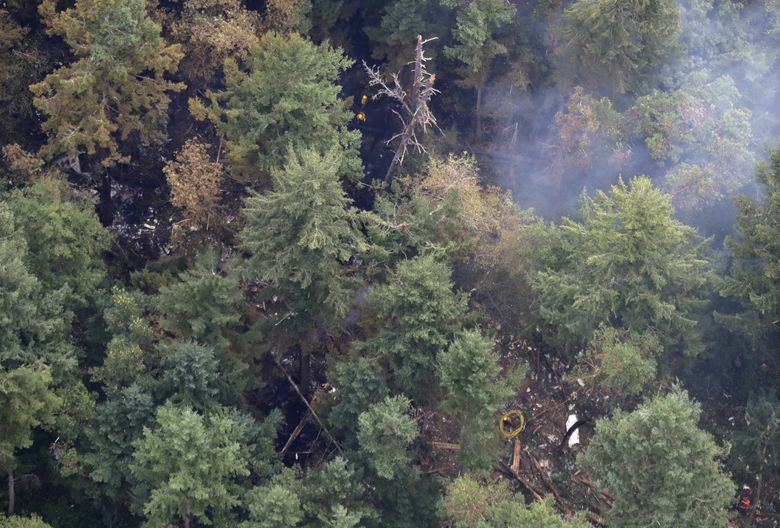 The Federal Aviation Administration has issued a statement that it will provide support to local and federal government, and industry partners investigating Friday night’s incident. Sobered and tired-looking officials from Alaska Air Group, Horizon Air, the Port of Seattle and the FBI took questions from reporters in a conference room at Sea-Tac International Airport on Saturday morning. 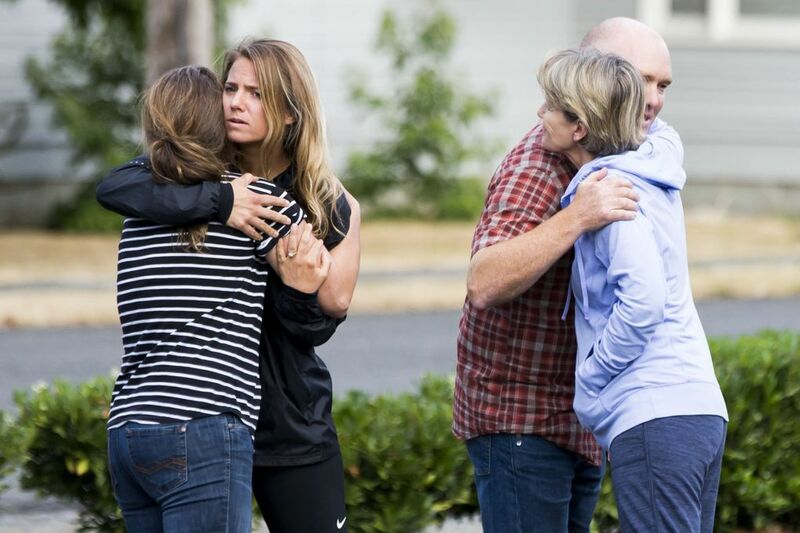 Brad Tilden of Alaska Airlines said the man was a 3 ½-year Horizon Air employee, a ground service agent whose job involved baggage handling and tidying the aircraft, as well as towing aircraft. He said Alaska and Horizon run criminal background checks on employees. Mike Ehl of the Port of Seattle added that additional background checks are run on employees every two years. Ehl said he didn’t know offhand how many people have the credentials that this employee had. Asked about wheel and door locks for the airplane, Tilden said airplanes are routinely accessed overnight. He said the general concept in aviation security is to secure the employees and the area, rather than the planes. “We’ll look at whether improvements can be made,” he said. Tilden said airplanes don’t have door keys or ignition keys like cars do. Horizon Air President and CEO Gary Beck said the company has a 24/7 employee-assistance program available to address mental-health needs, but he didn’t know whether this employee had made use of that program. The FBI is leading the investigation of Friday night’s unauthorized takeoff and crash of a Horizon aircraft. 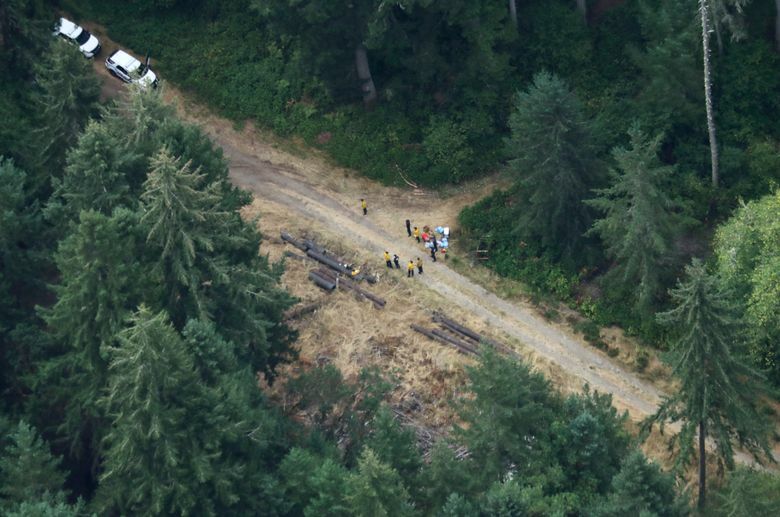 We are working with the NTSB and countless local & state partners to process the scene the crash on Ketron Island. We are going to be thorough, which means taking the time needed to scour the area, delve into the background of the individual believed responsible, and review every aspect of this incident with all appropriate public & private partners. I know there is considerable interest in the subject responsible, but please be patient as we will provide details when we have thoroughly reviewed all available information. 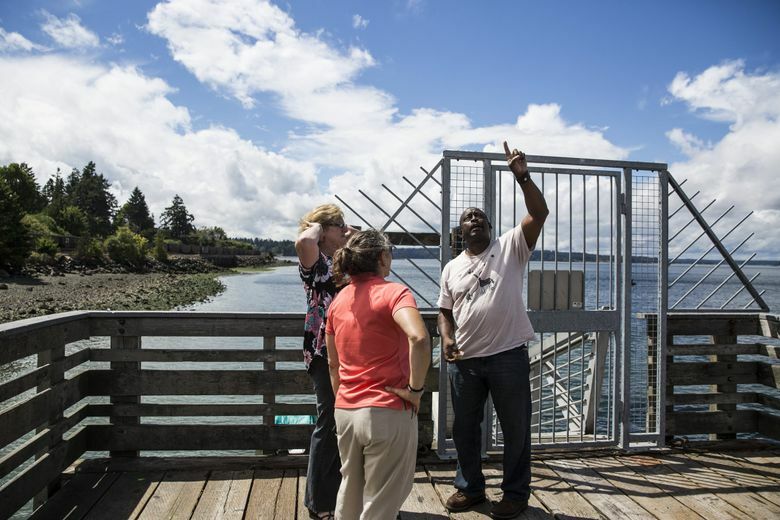 “We get jets coming over all the time, but this time they came from a different direction, north,” Sharon said Saturday after the island’s ferry docked in Steilacoom. She said in just moments there was a loud boom and that’s when she saw a mushroom cloud. “Everyone on the island is paranoid about fires,” Sharon added. The Petersons live part-time on the island. They own The Eleven Eleven bar in Hilltop Tacoma. “Most people have never heard of Ketron,” said Rob. 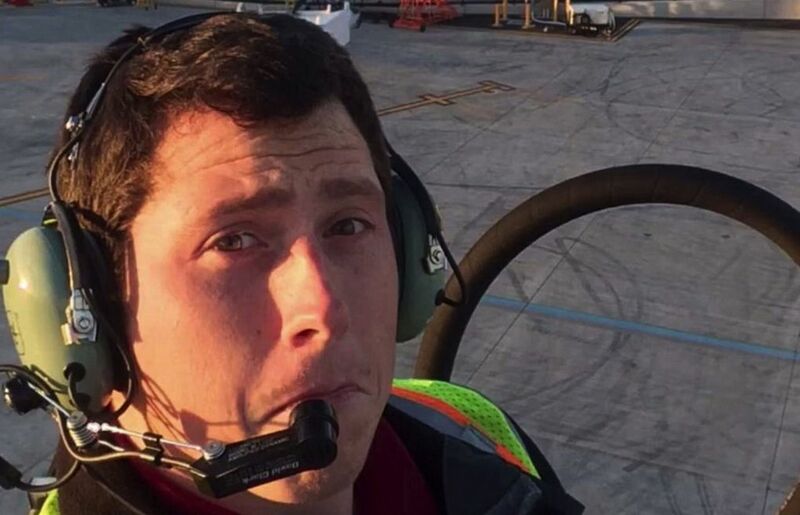 The airline employee who took a plane from Sea-Tac Airport on Friday night and flew it throughout the Puget Sound region before crashing on an island was 29-year-old Richard Russell, according to multiple sources, including one in law enforcement. 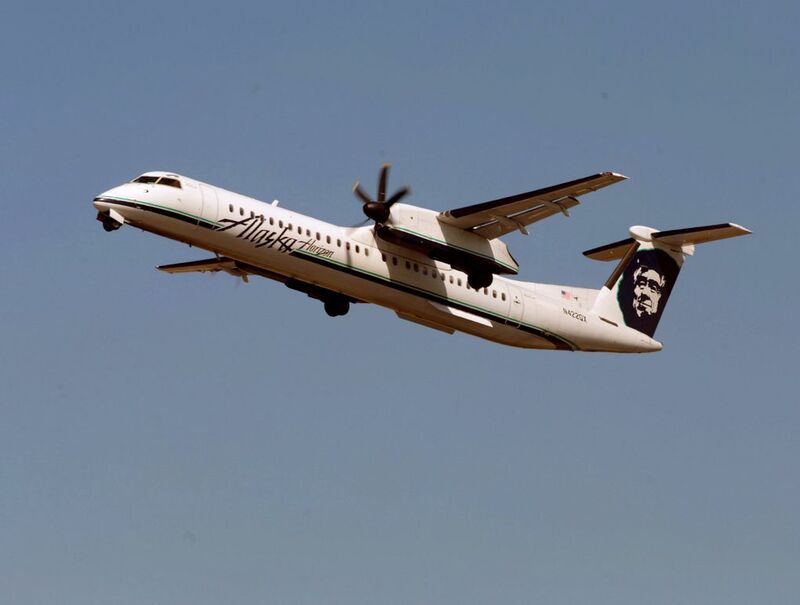 During a news conference Saturday morning at Sea-Tac Airport, Alaska Airlines officials confirmed that the FBI is leading the investigation into the theft of the Horizon Air turboprop. The National Transportation Safety Board and Federal Aviation Administration is also participating in the investigation. Lesley Gordon was walking her dogs along Chambers Bay loop when she saw two jet fighters following a plane. “They were flying all over,” she said in an interview. 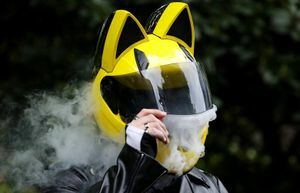 After she walked into the forested area, she heard a crash and came out to see a large plume of smoke, “like a mushroom cloud,” over Ketron Island. 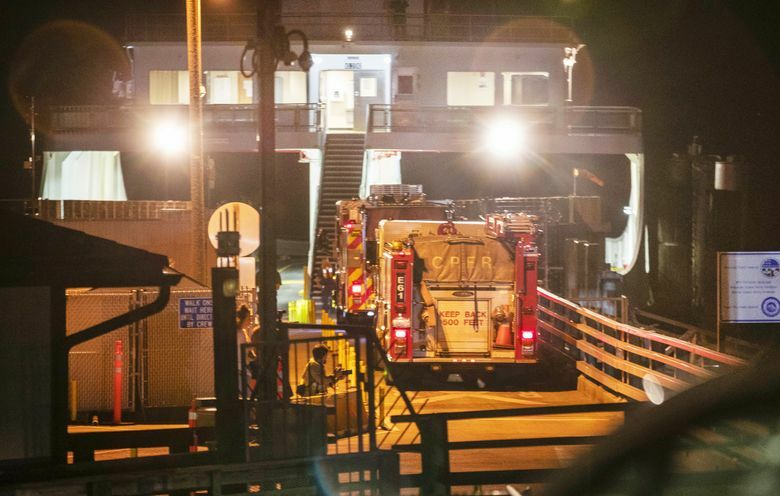 About an hour after that, Gordon walked to the ferry at Steilacoom, where she found emergency vehicles crowded on the dock. She said it was almost an hour more before a ferry came so that the emergency vehicles could get out to the island. In the meantime, she said she saw a couple of small, fast police speedboats head toward the island. 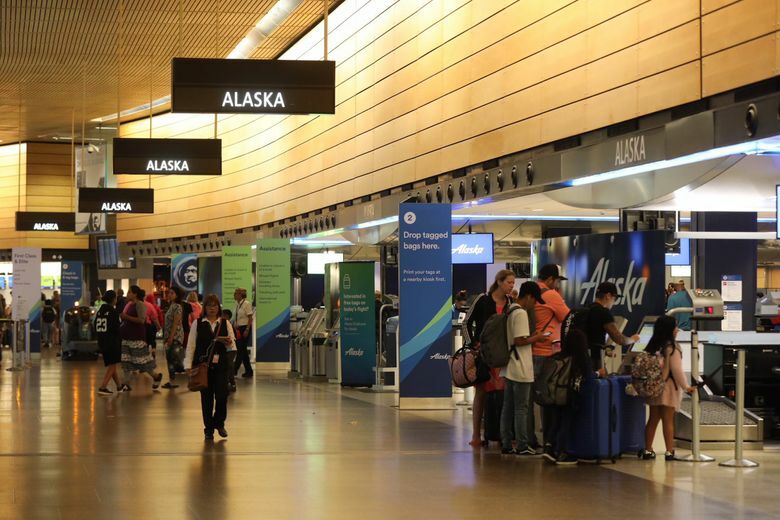 Alaska Airlines officials plan to hold a media briefing at 11 a.m. at Sea-Tac Airport. Among the speakers will be Brad Tilden, CEO of Alaska Airlines; Gary Beck, CEO of Horizon Air; and Mike Ehl, director of operations at Sea-Tac. “All of our NATCA-represented aviation safety professionals are highly skilled and trained to handle these types of emergency situations. Safety is their passion and their focus at all times. Investigators worked to find out how an airline employee could steal an empty plane. The bizarre incident points to one of the biggest potential perils for commercial air travel — airline or airport employees causing mayhem. The crash happened because the man was “doing stunts in air or lack of flying skills,” the Pierce County Sheriff’s Department said. Firefighters battled the blaze overnight and had it under control Saturday, but there are still some hot spots, he said. 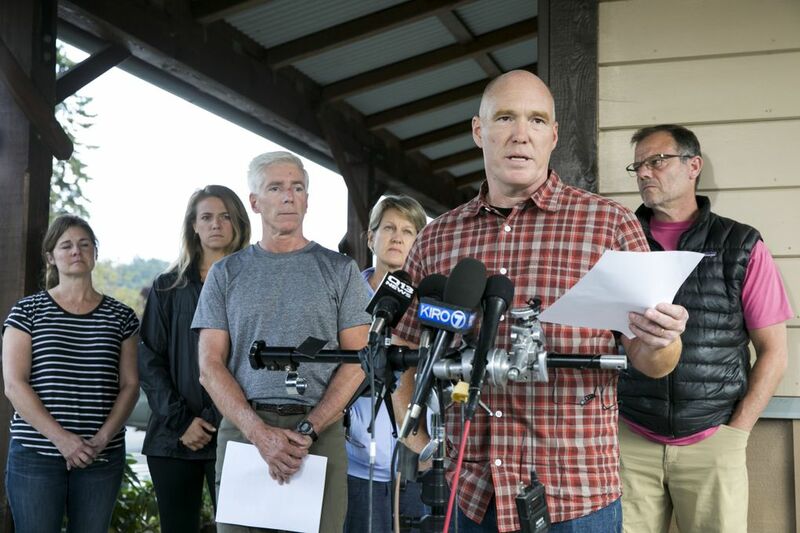 The National Transportation Safety Board (NTSB) planned to send a team to Ketron Island on Saturday to retrieve the aircraft’s flight data recorder and cockpit voice recorder, said Debra Eckrote, Western Pacific regional chief for the NTSB’s Office of Aviation Safety. 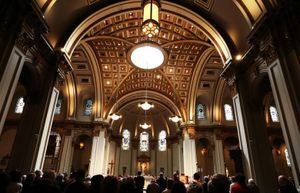 The recorders will then be sent to NTSB headquarters in Washington, D.C. for examination, she said during a news conference in Steilacoom. She said the plane was “highly fragmented” and the wings were detached from the fuselage. Two F-15C fighter jets were trying to redirect the stolen turboprop over the Pacific Ocean when it crashed, the North American Aerospace Defense Command (NORAD) said in a news release Saturday morning. The fighter jets didn’t fire on the stolen plane, according to NORAD. 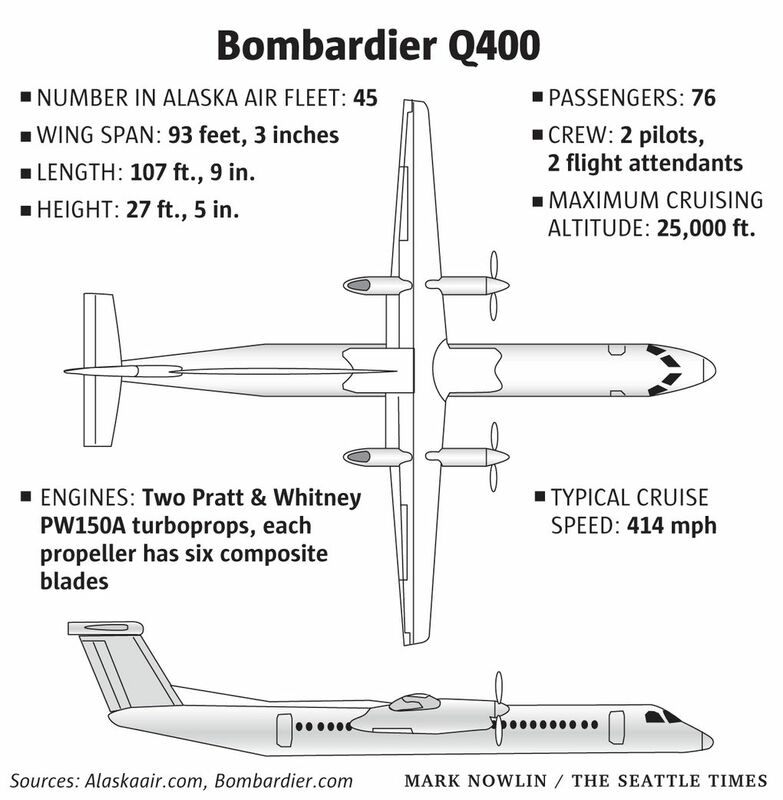 Alaska Air has 45 Bombardier Q400 planes in its fleet. Here’s a look at the aircraft that was taken from Sea-Tac Airport and crashed on Ketron Island Friday evening. Alaska Airlines said in a statement posted shortly before midnight that a ground-service agent took a plane from a maintenance area at Sea-Tac. The plane wasn’t scheduled for passenger flights, the airline said. Agents direct and de-ice planes, and manage passenger luggage, according to the airline. Our City is closely tracking the plane crash following the unauthorized takeoff at SeaTac. 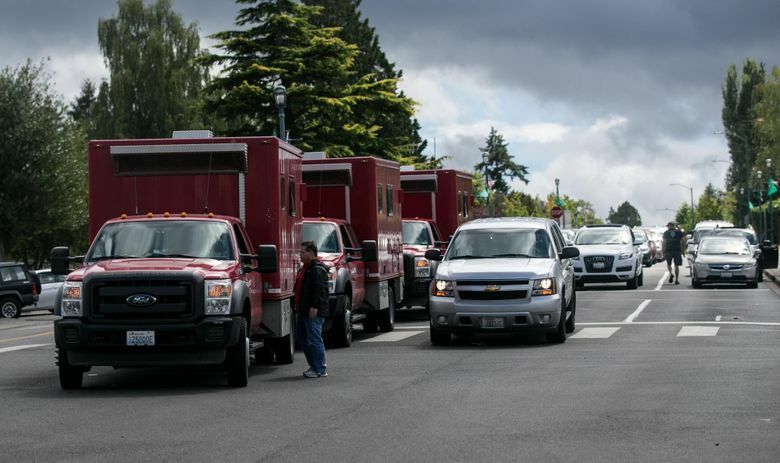 Our first responders are prepared to support Pierce County officials in any way necessary. The plane crashed about 9:30 p.m. on Ketron Island, about 40 miles south of Sea-Tac Airport. Here’s a map of the area. 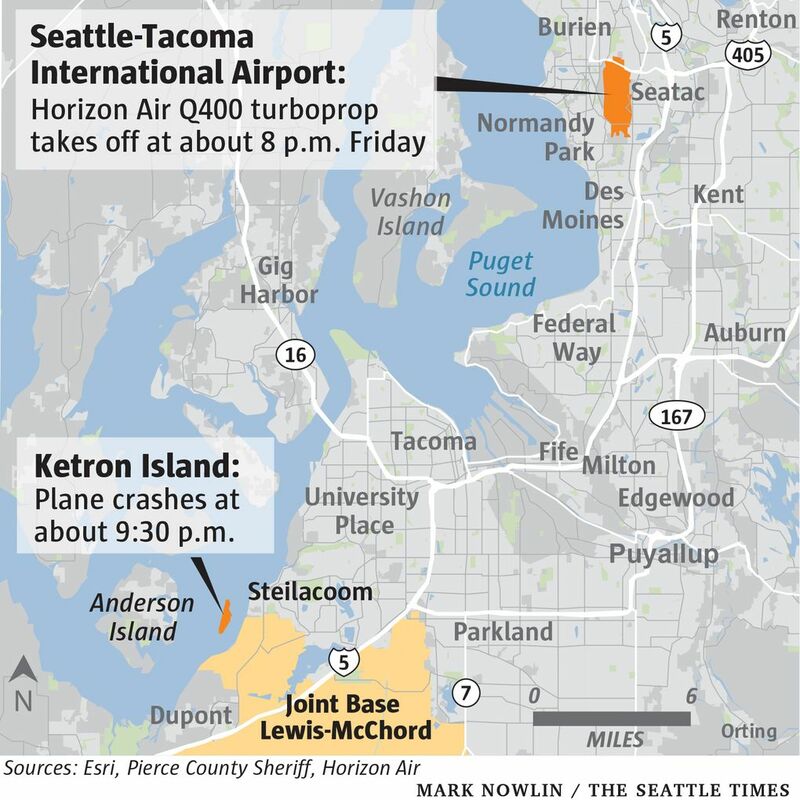 An air-traffic control feed captures the conversation between a controller and the Horizon Air worker who took off from Sea-Tac Airport and crashed on Ketron Island in south Puget Sound. Warning: some might find the following audio disturbing. Fire crews were responding to the scene of the wreckage on Ketron Island. UPDATE: Fire crews upgrading to 2nd alarm response and more units en route to Ketron Island. 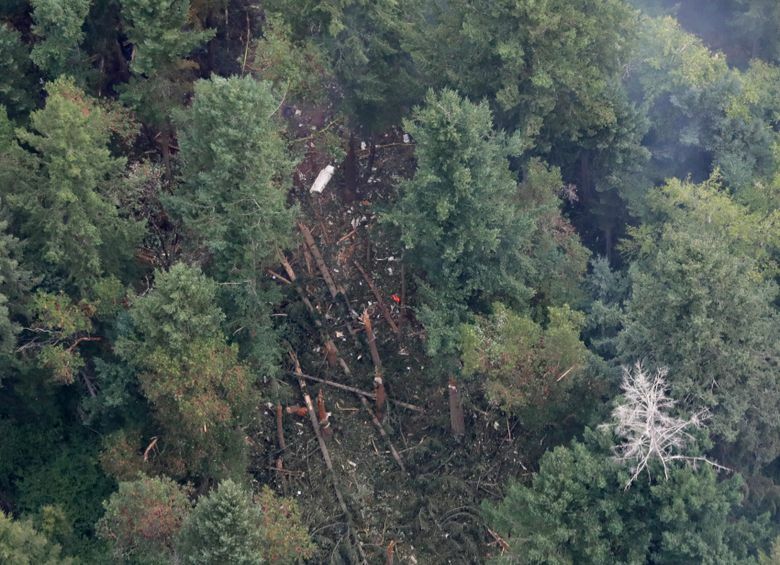 The person flying the plane was a 29-year-old Horizon Air worker who lived in Pierce County. No one else was on board. A witness told me that he saw two fighter jets trailing a Horizon plane. The plane disappeared and he saw smoke.